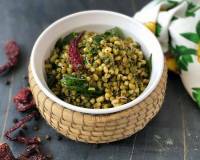 The Sprouted Matki Dal Sabzi Recipe is a wholesome and high protein dal recipe that is packed with flavors from lemon, green chillies and ginger. 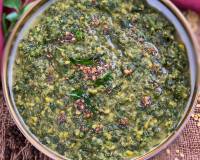 Serve this sabzi as a snack or a side dish for lunch or dinner. 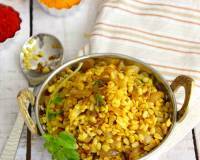 The Sprouted Matki Dal Sabzi Recipe is a wholesome and high protein dal recipe that is packed with flavors from lemon, green chillies and ginger. The addition of lemon and coconut, brings out the delicious flavors in this dish. 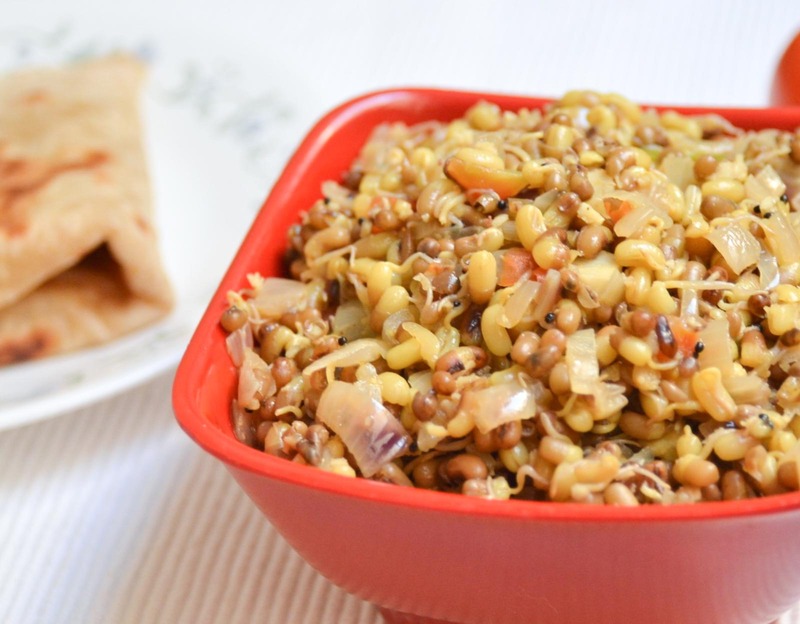 You can also pack the Sprouted Matki Dal Sabzi Recipe that you can serve as a diabetic snack or eat it like a snack during your tea time with a cup of Masala Chai. Did you know Moth beans are rich in protein, they contain B vitamins, magnesium, calcium, potassium, phosphorus, and a whole lot of other minerals that are important for bodybuilding and diabetes. Moth beans are loaded with fiber which helps to reduce blood sugar, high blood pressure, heart disease and high cholesterol. In addition you can also serve the Sprouted Moth Bean Sabzi along with Gujarati Kadhi, Kachumber Salad and Phulka for a weekday lunch/dinner. Serve Sprouted Moth Bean Sabzi along with Gujarati Kadhi, Kachumber Salad and Phulka for a weekday diabetic friendly lunch/dinner. 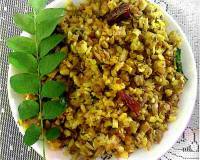 To begin making the Sprouted Moth Bean Sabzi recipe, add the moth sprouts in a pressure cooker with 1/4 cup water,salt and pressure cook it till the cooker releases 1 whistle. Let the pressure release naturally. Once done, drain the water if any and keep the sprouts aside in a bowl. 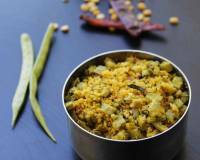 Heat oil in a heavy bottomed pan, add mustard seeds, ginger, onions, green chilli and saute well. Let it cook till the onion becomes soft and translucent. Once the onions become soft and translucent, add curry leaves, turmeric powder and garam masala powder. Let it cook for about 2 minutes. 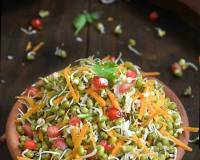 Add cooked moth sprouts, mix everything well and cook the Sprouted Moth Bean Sabzi for about 2 minutes. After 2 minutes, add tomato, coconut, salt to taste and coriander leaves. 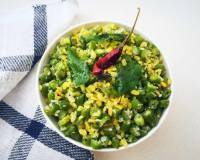 Stir the Sprouted Moth Bean Sabzi well and let it cook for 2 to 3 minutes more. Once done, check the salt and spice and adjust to suit your taste.